Unplanned acute care for patients with cancer is common – and costly – in the United States. In 2010, cancer care cost an estimated $125 billon and is projected to reach almost $160 billion by 2020. Acute cancer care, including emergency department (ED) visits, hospitalizations, and 30-day rehospitalizations, accounts for the largest component of total spending (48%) and is the largest driver of regional differences in spending on cancer care. A rule proposed in 2016 by the Centers for Medicare and Medicaid Services (CMS) seeks to reduce unplanned acute care for Medicare beneficiaries receiving outpatient chemotherapy. If finalized, hospitals will have a financial incentive to reduce hospitalizations and ED visits within 30 days of chemotherapy for any of ten common conditions considered preventable, including nausea and fever. How can health systems and programs reduce unplanned acute care for their patients with cancer? To ascertain best practices, the authors reviewed the available evidence, quality guidelines, and common models of care to identify existing strategies, and assessed the impact on ED visits, hospitalizations, and rehospitalizations within 30 days. The authors identified five strategies, and specific interventions that implement these strategies, to reduce unplanned acute care for patients with cancer. Some have a stronger evidence base than others; some can be implemented easily, while others involve a significant commitment of resources. Identify patients at high risk of unplanned acute care. By targeting interventions to populations who may benefit most, practices can make the best use of scarce resources. Patients can be identified by monitoring known risk factors, using published risk-stratification models, or through predictive analytics. While predictive models and techniques are still in their infancy, data suggest that they hold great promise, when used as a complement to, rather than a substitute for, physician involvement and discretion. While few examples of this strategy exist specific to cancer patients, it has been used successfully in other areas of medicine. One health system used predictive analytics to identify high-risk patients with heart failure, and using a targeted intervention, was able to reduce rehospitalizations by 19%. Enhance access and care coordination. Better communication and coordination helps patients get the care they need when they need it, reducing the likelihood of preventable ED visits or hospitalizations. A number of low-tech interventions exist, such as providing clear and reliable mechanisms to contact the care team, improving care transitions, and developing patient navigator programs. In one program, nonclinical navigators acted as liaisons between patients and providers to clarify treatment plans, connect patients with resources, and encourage advance care planning. As a result, in the last 30 days of life, ED visits decreased by 20% and all-cause hospitalizations decreased by about 7%. Telemonitoring and other ‘connected health’ approaches also show promise; for example, one program that proactively elicits patient-reported outcomes among those getting chemotherapy led to a 17% reduction in ED visits and 8% reduction in all-cause hospitalizations. Standardize clinical pathways for symptom management. As a way to reduce unwanted variation in care, standardized pathways carry significant benefits. Pathways dedicated to acute symptom management and phone triage may be particularly useful for reducing acute care use. For example, one group developed and implemented a set of customized symptom management protocols for patients experiencing dehydration, diarrhea, insomnia, and delayed chemotherapy-induced nausea and vomiting. Within five years, the percentage of patients directed to the emergency room as a result of a clinical call decreased by nearly 60% (12% to 5%) and a standardized protocol for diarrhea decreased preventable hospitalizations by 50%. Develop alternative sites for urgent cancer care. This strategy could be especially useful as an alternative for the cancer patient who presents to the ED during normal clinical hours. Example interventions include flexible scheduling and embedded urgent care clinics, cancer providers embedded in the ED, dedicated acute cancer treatment clinics and observation units, and dedicated cancer EDs. For instance, one medical group of nine oncologists and one nurse practitioner adjusted its clinic schedule to create dedicated slots in the nurse practictioner’s daily schedule for urgent visits. This strategy allowed the group to arrange same-day or next-day appointments for 87% of patients and unplanned hospitalizations for symptom-related care fell by 31%. Use early palliative care. Some of the strongest evidence points to the use of early palliative care to improve both quality and duration of life. However, discussions of treatment goals and end-of-life planning frequently occur late in a patient’s disease course (if at all), and often during an acute hospitalization. Earlier use of palliative care can be promoted by standardized teaching about symptom management and end-of-life discussions, embedded outpatient palliative care clinics, and integrated inpatient palliative care/oncology units. Standardized triggers for consultation can be an effective way to integrate palliative care. One group developed such triggers for a solid tumor oncology service, which led to increased palliative care consultations, increased hospice referrals, decreased chemotherapy use after discharge, and a nearly 50% decrease in 30-day readmission rates. In this review of best practices and supporting evidence, the authors identified five strategies for reducing unplanned acute care for patients with cancer. Some of these strategies, such as integration of early palliative care, have a robust evidence base; others, such as predictive analytics, are still early in their development. Oncology practices could implement these strategies separately, but may have more success implementing them as a targeted, integrated program for patients with cancer. However, implementing an integrated program will involve substantial resources, and evidence of its effectiveness is both limited and sobering. It may be most efficient to target interventions to patients most at risk, rather than build capacity for all patients. Structuring value-based payments to reward reduced acute care would likely speed implementation efforts. Proposed Medicare reimbursement changes amplify the need to focus on this issue, as the financial-wellbeing of cancer programs will be increasingly tied to reducing unplanned acute care. As these strategies are implemented, further studies are needed to build a more robust body of evidence on what works, and doesn’t work, in reducing the clinical and financial burden of unplanned and preventable acute care for patients with cancer. To review best practices in reducing acute cancer care, the authors searched PubMed for articles published between 2000 and 2017, reviewed quality guidelines published by professional organizations, and evaluated five care models that have defined and developed systems to deliver high quality oncology care. These models include: the National Committee for Quality Assurance patient-centered medical home, and patient-centered specialty practice; the Community Oncology Medical Home; the CMS Oncology Care Model; and the Commission on Cancer Oncology Medical Home. They categorized their results into five strategies, and compiled available evidence on the effectiveness of interventions used to implement each strategy in terms of reducing ED visits, hospitalizations, and rehospitalizations. They considered effects on planned, unplanned, and preventable hospitalizations in reviewing and reporting their results. 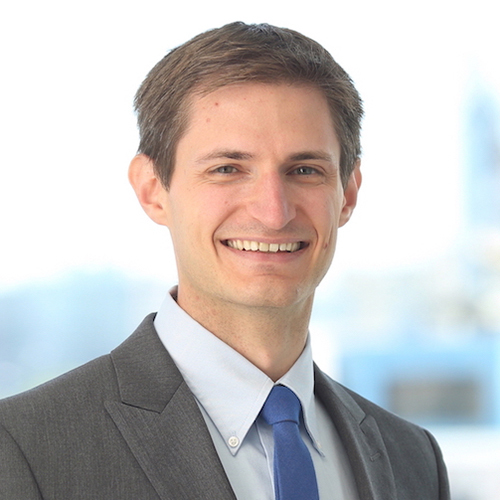 Nathan Handley, MD is a Hematology and Oncology Fellow at Penn Medicine and an MBA candidate at The Wharton School of the University of Pennsylvania. His interest in care delivery innovation dates back to Internal Medicine residency at the University of California San Francisco, where he participated in the Health Systems and Leadership track and studied strategies for improving access to specialty care in safety net hospitals. His clinical interests are in the area of genitourinary oncology. Since 1967, the Leonard Davis Institute of Health Economics (LDI) has been the leading university institute dedicated to data-driven, policy-focused research that improves our nation’s health and health care. Originally founded to bridge the gap between scholars in business (Wharton) and medicine at the University of Pennsylvania, LDI now connects all of Penn’s schools and the Children’s Hospital of Philadelphia through its more than 250 Senior Fellows. LDI Research Briefs are produced by LDI’s policy team. For more information please contact Janet Weiner at weinerja@pennmedicine.upenn.edu.